The Bible warns us that in the last days in which we live there will be many false Christs-those who claim to be Christ but who are imposters. Jesus said, "Take heed that no man deceive you. For many shall come in my name, saying I am Christ; and shall deceive many" (Matthew 24:4-5). We who profess to be Christians must take heed. We must be very careful that we are not deceived. Our calling is to trust, love, and follow the true Christ and Him only. We may have nothing to do with the false Christs who are so numerous in our day. "Then if any man shall say unto you, Lo, here is Christ, or there; believe it not. For there shall arise false Christs, and false prophets, and shall shew great signs and wonders; insomuch that, if it were possible, they shall deceive the very elect. Behold, I have told you before. Wherefore if they shall say unto you, Behold, he is in the desert; go not forth: behold, he is in the secret chambers; believe it not. For as the lightning cometh out of the east, and shineth even unto the west; so shall also the coming of the Son of man be." The Word of God expressly states in Mark 13:21-22, "And then if any man shall say to you, Lo, here is Christ; or, lo, he is there; believe him not: For false Christs and false prophets shall rise, and shall shew signs and wonders, to seduce, if it were possible, even the elect." 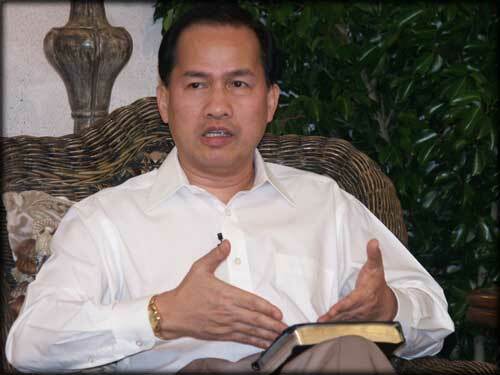 The problem is that most people don't want to accept the Word of God. Jesus Himself stated this in John 5:43... "I am come in my Father's name, and ye receive me not: if another shall come in his own name, him ye will receive." 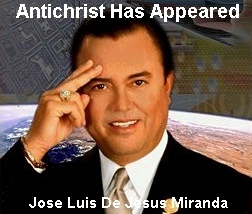 Jose Luis De Jesus Miranda comes in his own name and millions of hellbound Christ-rejecters have received him. Isn't that a shame? So many people today refuse to come to God the Father through Jesus Christ, the only begotten Son of God (John 14:6); BUT, they'll foolishly receive a false prophet who claims to be Jesus, who cannot do the miracles which Jesus did, and surely has never died for anyone's sins.